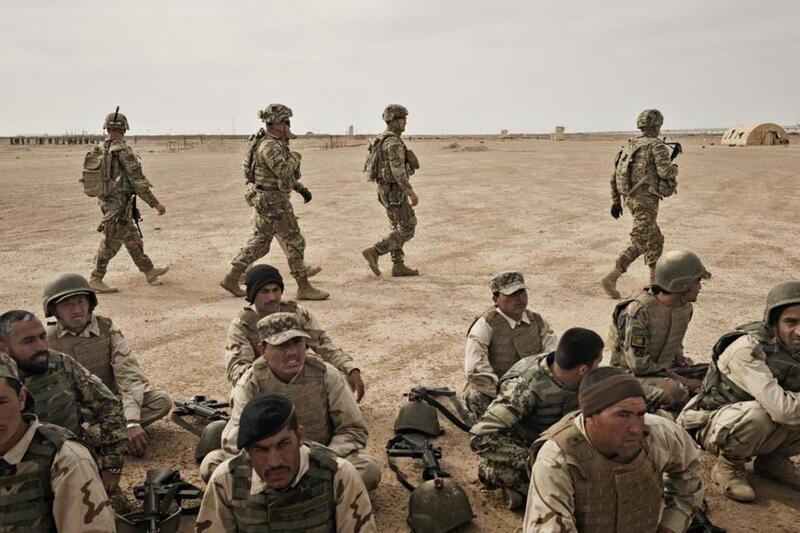 American soldiers during Afghan National Army training at Camp Bastion in Helmand Province, Afghanistan. The Pentagon has stepped up airstrikes and special operations raids in Afghanistan to the highest levels since 2014 in what Defense Department officials described as a coordinated series of attacks on Taliban leaders and fighters. KABUL — At least 10 civilians were killed and several others were wounded over the weekend during US airstrikes in southern Afghanistan, local officials and residents in Helmand province said Sunday. A local resident, Aslam Khan, said the home of his brother, Assti, in the Sangin district, was fired upon by a helicopter when he switched on a flashlight to find his shoes. The shots killed Assti Khan’s 10-year-old son and 3-year-old daughter and wounded his wife and 18-year-old daughter, his brother said in a telephone interview. A US military spokeswoman in Kabul said that US aircraft had conducted airstrikes in the province late Friday night and early Saturday morning but she could neither confirm nor deny that civilians had been killed. The spokeswoman, Sergeant Debra Richardson, said military officials were looking into the episode. Richardson said a joint team of Afghan and American commandos had conducted an operation targeting a Taliban operations center in Sangin, an insurgent stronghold. She said airstrikes were called in after a Taliban insurgent fired at Afghan and American forces from a structure in a civilian area. Richardson said she could not provide the number of troops in the operation or the type of aircraft involved. Aziz Ahmad Azizi, a spokesman for the governor of adjacent Kandahar province, said 25 Taliban fighters were killed and 10 captured during the operation. Azizi said he could not confirm reports of civilian deaths or injuries.